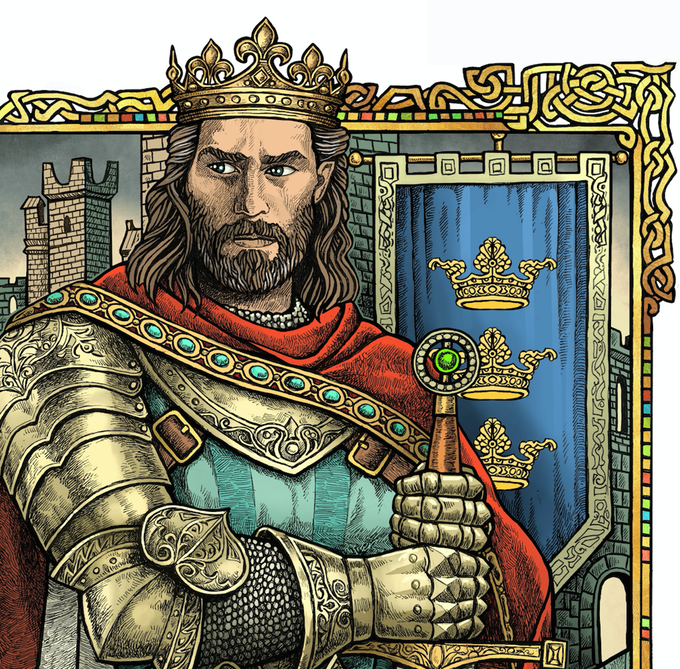 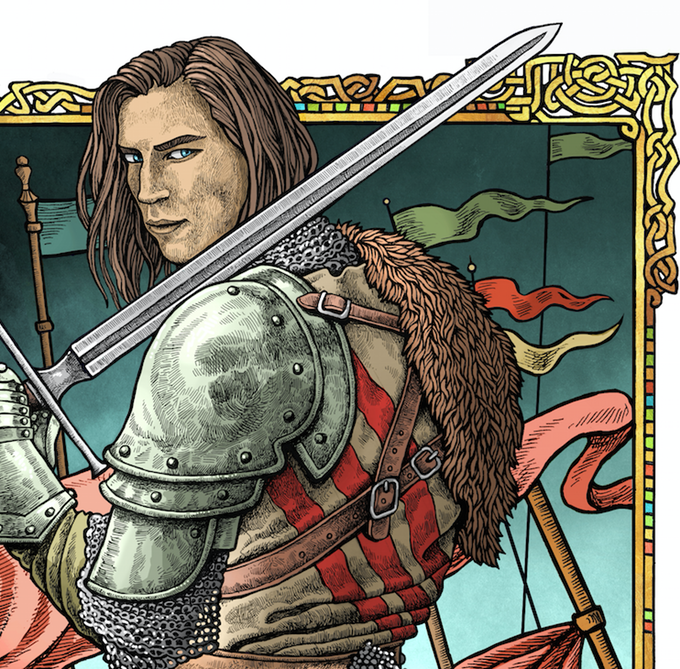 Elevated by Celtic mythology to the category of immortal hero, Arturo is one of the most popular kings thanks to literature and cinema. 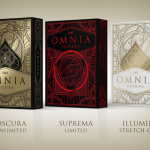 Few are those who know and many who speculate with his authentic origin but his history is full of adventures, magic and mysteries that are, undoubtedly, much more stimulating than his real life. 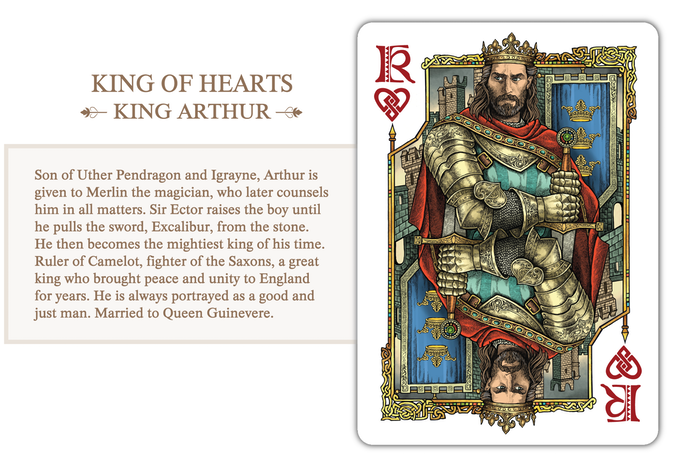 Taking the name of one of the most important locations in the story of this epic king, a new and beautiful deck has been launched: AVALON. 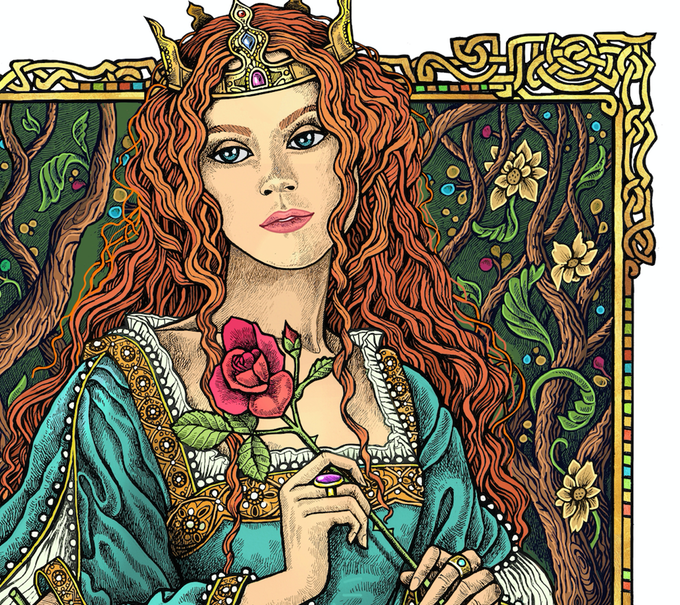 The isle of apples, Avalon, receives that name from the apple trees giving fruits throughout the whole year. 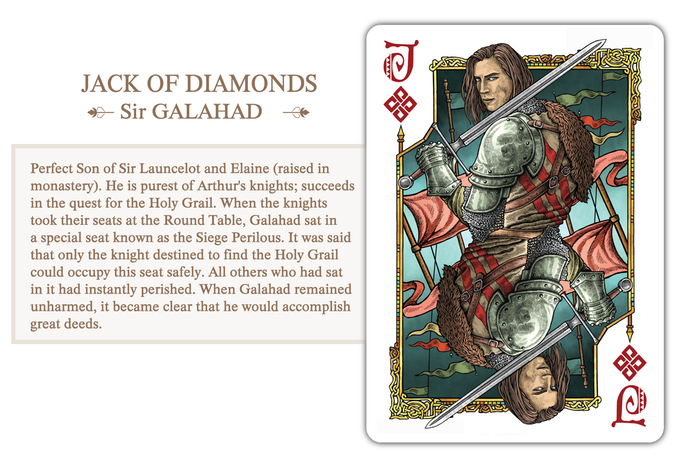 It is in fact an unknown location that the scholars place from the British islands to the Spanish Majorca. 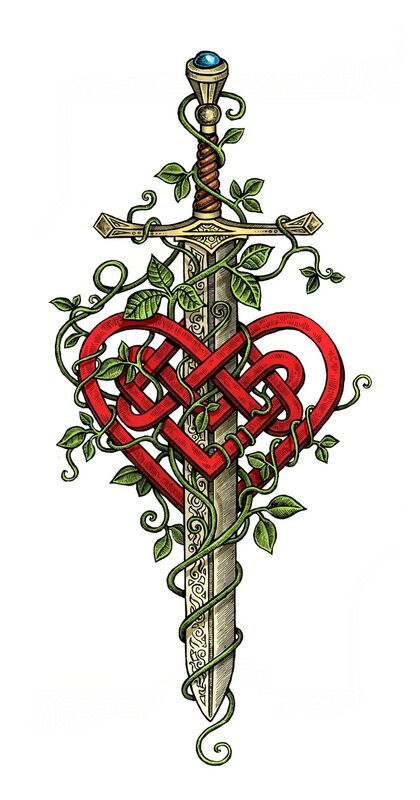 Anyway, the island served, according to legend (or history, you never know), as a refuge and place of death for a bruised Arthur after the battle with his son Mordred, led there by the sorceress Morgana. 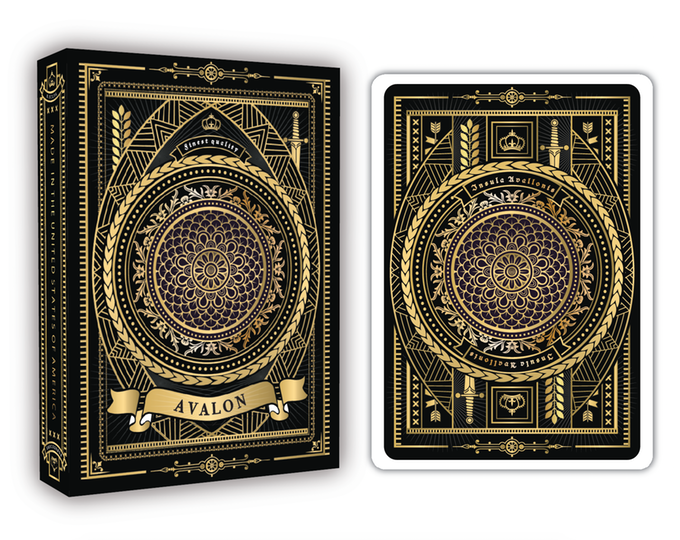 Avalon deck is the result of the collaboration of the charming Natalia Silva, a reference in the contemporary playing cards design and a tireless and talented worker, and Magdalena Korzeniewska, a Polish artist who combines traditional illustration techniques and a special talent for fantasy themes. 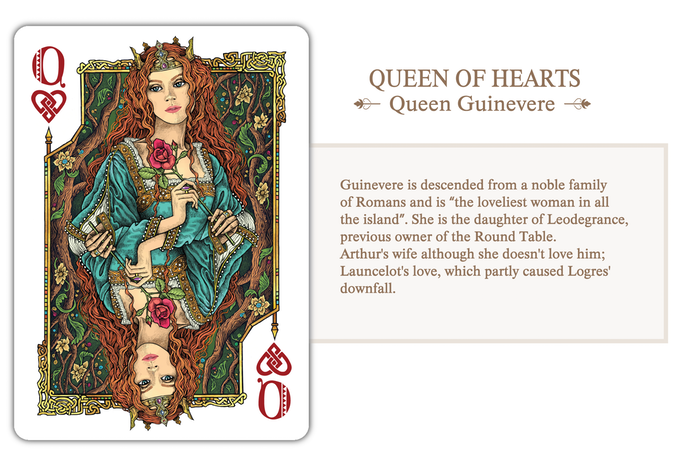 Both have worked on each single card to offer us a lovely deck, full of details and beauty, in which the mythological characters surrounding Arturo are shown in each of the court cards with poses and expressions that tell their own history. 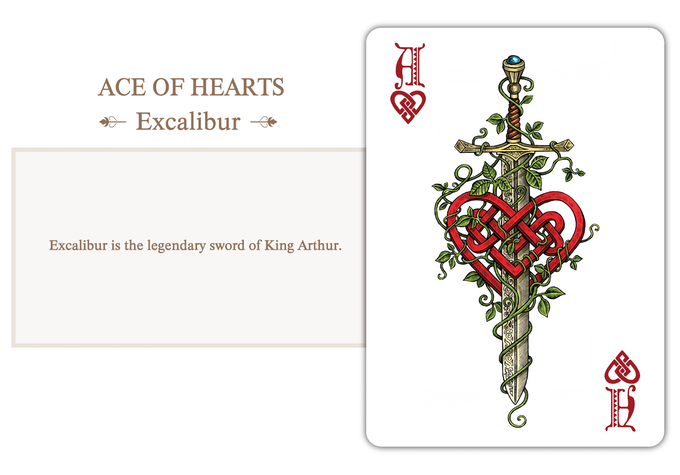 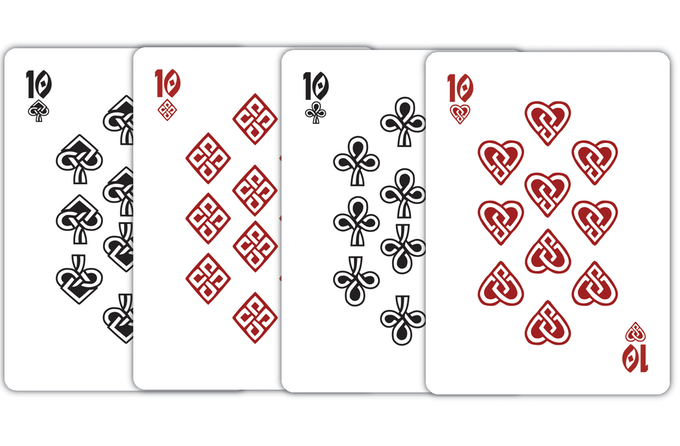 Completely hand-drawn and customized in numbered cards, the aces are topped with the legendary Excalibur that accompanied Arturo to the end. 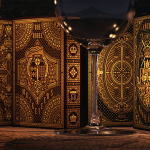 The back has been profusely decorated with symbols and intricate details. 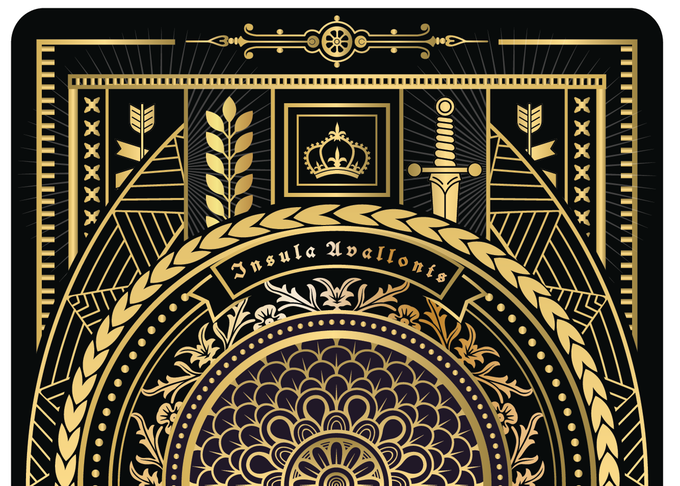 Expert Playing Cards Company will print this deck that will have a luxurious finish including a tuck case printed on black stock with gold foil and embossing as well as two jokers and two gaff cards inside. 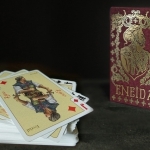 It would be a real pity that this deck did not see the light so do not hesitate to visit the project website and raise your pledge.